Many of us are already familiar with Bitcointip, the bot that allows anyone to easily send any amount of money to anyone else on Reddit. For those who have not seen Bitcointip used before, the process is simple: deposit money into your account, and then to tip a particular user (eg. myself, “vbuterin”), you write “+tip 0.01 BTC vbuterin” into a comment anywhere on Reddit. Writing “+tip 0.01 BTC” sends the tip to the creator of the comment that you are replying to. You can also denominate tips in fiat currencies like USD and EUR, “internets” (+1 internets = 0.25 USD) and “points to Hupplepuff”. The idea proved to be a hugely successful one, and is processing tens of thousands of dollars every month. Now, Pikapay’s Richard Kohl and Joris Bontje are trying to accomplish the same thing on a platform that is even more widely used than Reddit: Twitter. 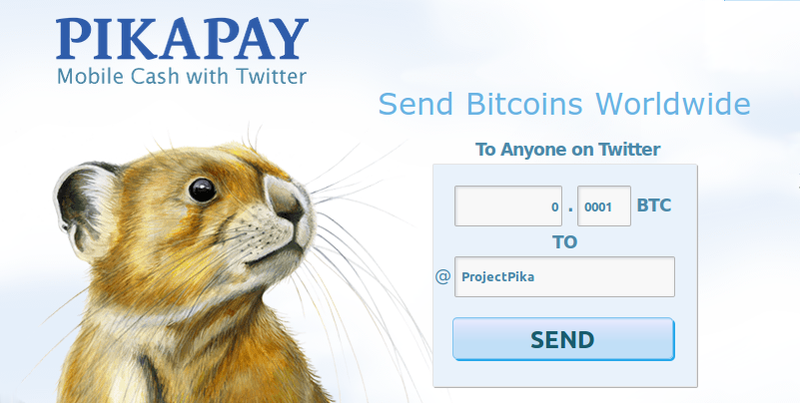 Pikapay seeks to allow anyone to send bitcoins to any other Twitter user through its Twitter-integrated interface. It will also be possible to withdraw the bitcoins to a Bitcoin address or convert them to fiat currency, but these features will be developed in cooperation with PikaPay’s partners and are not included in the public beta. But PikaPay also has one feature that Bitcointip does not: you can request money. Requests can be directed at a particular person, or at a number of your followers; the latter feature is especially interesting, as using it celebrities can potentially crowd-fund charitable contributions from all of their followers at the click of a button. However, the simple payment option itself should not be discounted; as founder Richard Kohl pointed out, even his grandmother could use it. Joris Bontje: The inspiration for PikaPay was the search for a way to make Bitcoin safe, easy and fun for anyone to use. I was a developer for the I2P project to create a better communication network when I first heard about Bitcoin in 2010. With many years as a software developer for some of Europe’s largest banks, I saw an opportunity for our team to build a platform to make Bitcoin accessible to the rest of the world and help define the future of digital transactions. Twitter and its familiar 140-characters is considered one the world’s leading platforms for communicating to individuals on a worldwide level. Important causes and global brands use Twitter, why not Bitcoin? In June 2011 I had built and launched the first Bitcoin to Twitter service called PayBitBack, which was very successful. But we wanted to build something better than a wallet or tip jar. During the two years we spent to develop PikaPay, we’ve had contributors from 17 different countries, from Bolivia to India, and they all helped us look at Bitcoin and financial transactions from a global perspective. Richard Kohl: We created PikaPay to help solve two of the problems with Bitcoin that people complain about most. One is that there really aren’t enough uses for bitcoins. Two is that Bitcoin suffers from a P.R. and trust problem. The popularity of Bitcoin will grow as it becomes a safe, easy and social way to transact. For it to catch on it must be as familiar and as easy as cash. It also has to be secure. PikaPay is safe and easy enough to send bitcoins to your neighbor or your aunt. I recently sent some to my 96-year-old grandmother. She now might be one of the oldest people in the world to hold bitcoins. 3. What are some examples of things that can be done with PikaPay that would not be possible just using Bitcoin by itself? PikaPay is all about the mass adoption of Bitcoin. You can now transact in Bitcoin with the millions of people and organizations on Twitter. You can combine the familiar 140-character Tweet with a Bitcoin transaction. PikaPay transactions are nearly instantaneous, so you do not have to wait for any confirmations. A buyer and seller do not have to exchange any non-public information about themselves in order to make a transaction. Twitter Names are always public, so I don’t even need to ask for your E-mail address or scan your QR. Handling a local wallet and Bitcoin addresses is simply out of reach for most of the world. PikaPay can be used easily by anyone on PC or mobile device. You don’t have to install anything or think about devices getting hacked or stolen. 4. I noticed that PikaPay has a feature that lets you “request” payments, including requesting payments from the first N followers.What are some of the ways that you expect that feature will be used? The request feature can be used as a digital invoice. You send it discreetly via Twitter Direct message to anyone who is following you. You can also use it to announce special deals to your Twitter followers or to announce discounts or left-in-stock promotions: “I’m selling tickets for $5 to the first 10 followers.” We hear about people planning to do Twitter Crowdfunding with Bitcoin. Right now you can announce any project or good cause, and ask your followers to pay via the special link that PikaPay sends with each request. 5. What is your strategy going to be for getting PikaPay out there and making sure the masses find out about it? We’ll be making some special announcements about this in the coming weeks. Early responses have been very positive. Right now we have a team of ambassadors who have volunteered to help spread the word, and we’re ready to talk to people with good ideas about how to take it further. We’re adding intelligence to PikaPay based on cues given from Twitter’s social graph. The more people who use PikaPay and help spread the word, the smarter PikaPay will be at finding the next wave of Bitcoin adopters. 6. Do you see Twitter in general as becoming a more important social media platform in the future? Why or why not? 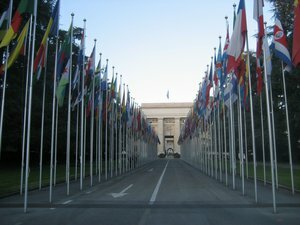 As an innovator and trend-setter Twitter seems to be hitting its stride globally, not just with many more users, but many more active international ones.There are many ingredients that have contributed to this growth, but the fact that this application started it’s life as a mobile first platform, as PikaPay has done, has definitely played a big role. 7. What other trends in social networking do you think are going to become important in the next few years? How do you see Pikapay fitting into this future? Just as it has for many other segments of the world economy, social media is going to play a critical role in building influence and trustwithin the new Bitcoin economy — Trust between Bitcoin users themselves, between Bitcoin merchants and consumers and then from the rest of the world in Bitcoin as a technology, as a movement and as a brand. Twitter already plays a central role in building trust. Twitter Tweets and hash tags continue to make headlines beyond Twitter and are just beginning to extend their reach into other media around the world. You can already see Twitter at the heart of a lot of the major changes taking place in the world in recent years — in important causes and campaigns, in new kinds of businesses and even in revolutions which have been launched and sustained with Twitter. We built PikaPay to enable them. We like the possibilities of real-time responsiveness of Twitter coupled with the micropayment services of our API. We’re looking at investing time, money and resources into developers who understand what this means and have good ideas on how to leverage it. Real Compliance: Getting your way by giving in.